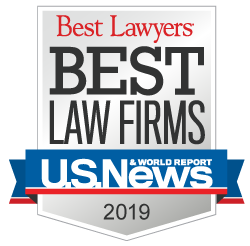 U.S. News, which publishes U.S. News & World Report, has given Corboy & Demetrio a Tier 1 National Ranking in the area of medical malpractice law, the highest national ranking category by the media group in its 2013 U.S. News – Best Lawyers “Best Law Firms” Annual List. In addition to rankings given to the law firm, five Corboy & Demetrio partners have been selected by their peers for inclusion in Best Lawyers in America, 2013 Edition. The lawyers—all partners at Corboy & Demetrio—include: David R. “Chip” Barry, Jr., Philip Harnett Corboy, Jr., Michael K. Demetrio, Thomas A. Demetrio and Rene A. Torrado, Jr.
Rene A. Torrado, Jr. has been selected for Best Lawyers each year beginning in 1999. This is the seventh consecutive year that Philip Harnett Corboy, Jr. made the list and the sixth consecutive year that Michael K. Demetrio has earned the designation. It’s the second year in a row for David R. Barry. The first-tier national rankings will appear in U.S. News & World Report's special Money issue on newsstands November 20. The rankings feature “law firms given consistently impressive performance ratings by clients and peers. Achieving a high ranking is a special distinction that signals a unique combination of excellence and breadth of expertise,” according to the announcement of 2013 rankings by U.S. News Media Group.